Last year I got the honour of doing an illustration based wallpaper for TV2 television program, Tid for hjem! 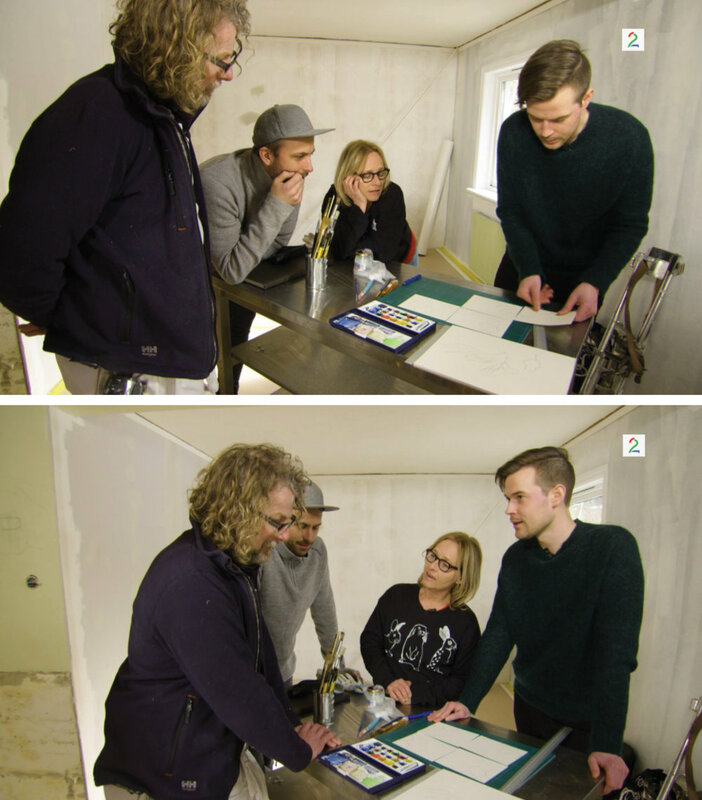 I was invited by the talented designer duo Morten&Jonas, who had the task of designing both living room and kitchen for a family in Os (near Bergen, Norway), kicking off the 2019 season of Tid for hjem. My expressive, joyful and detailed solution for the wallpaper is done specifically for this family and home. The wallpaper pattern create a sense of a fantasy garden where happy humans gather food, dance and enjoy life. Painted with watercolours and fine-tuned in Photoshop. 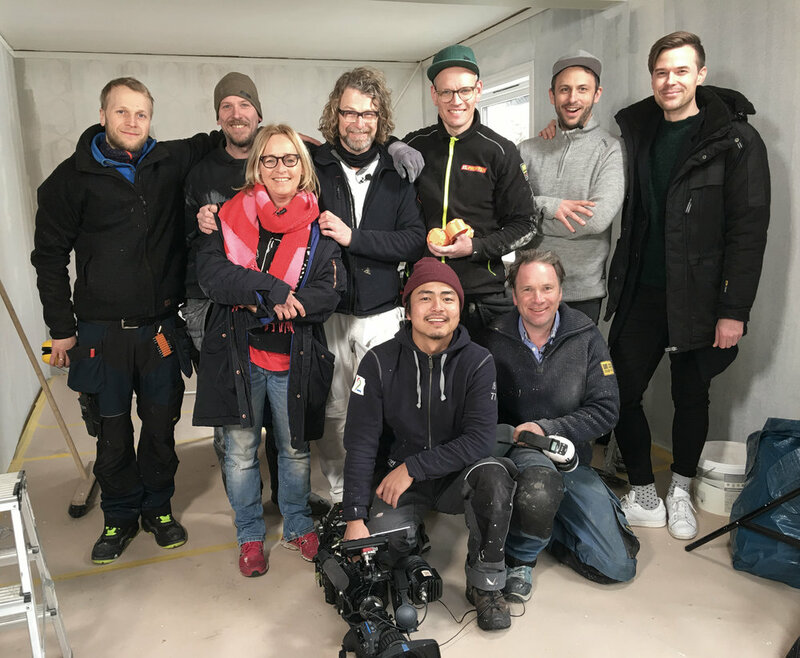 Tid for hjem is a home makeover / refurbishing program with different designer guests each episode doing the interior and furniture solutions. A constant each time is the lovely Tid-for-hjem-crew, doing the handiwork over a short period of about 4-5 days. They are as super nice in real life as they are on television. It was a blast working with them. Below you can see details from the wallpaper illustrations and screenshots from the episode.